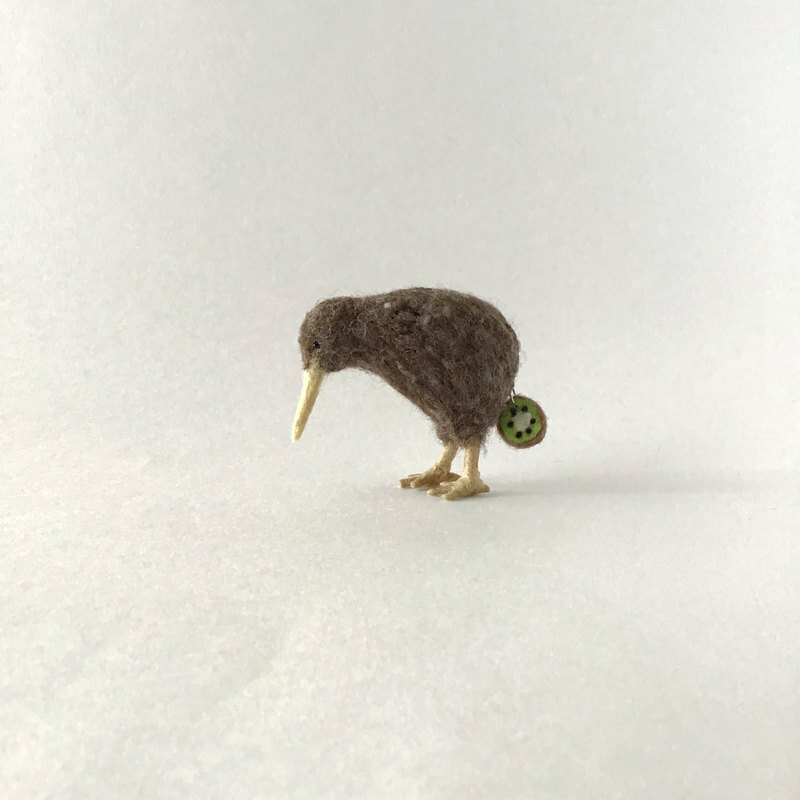 Kiwi seems to forget that for 5 years that there is something unpleasant, but this kiwi is okay. material wool Polyester cotton Plastic eye Wire etc. "size" Vertical 4.5 cm wide 5 cm ※ The wooden base is not included. --------------------------------------------------------------- This work is made to order. We will make it after payment is confirmed. Please feel free to contact us for points to worry about. ------------------------------------------------ 【Handling of wool work】 ★ There are times when the fiber is pulling out, but please understand that it is a characteristic of wool. ★ It is weak to friction, hook and so on. When pulling the fiber hair may come off or shape may collapse. ★ You may get fuzzy while using it, pill may be made. In that case please cut with scissors without pulling. ★ I can not wash it. ★ When wet, please push the dry cloth etc. to remove moisture. ★ The wool work is very delicate. We appreciate your kindness. 【Other notes】 ★ There are times when you use wires for flowers and feet. If you bend the wire may pop out. Please handle with care. ★ Please use the lock broken pin securely ★ Please use 3D objects as an ornamental.